Widely regarded as one of America’s pre-eminent living composers, Joan Tower, who is also a pianist, is particularly devoted to chamber music. Organic structures underpin her string quartets – there is ‘heat from within’ and radiance of texture in Incandescent, her third quartet, virtuosic interplay in the fourth, Angels, and fluid connections in White Water, her fifth quartet. 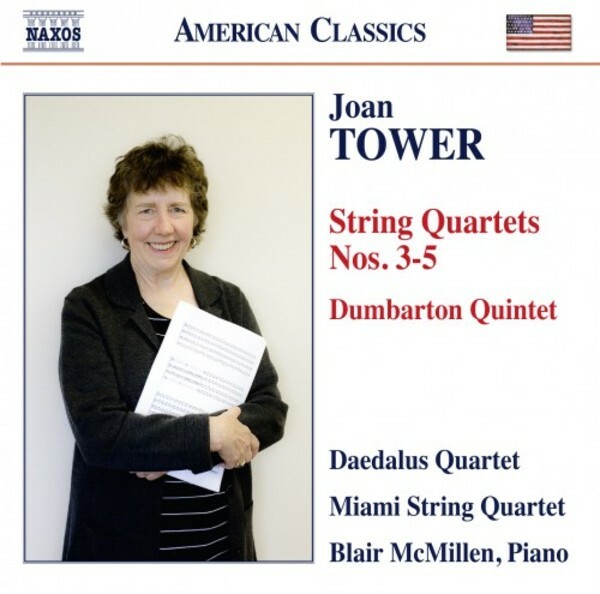 Tower is only the third composer – after Stravinsky and Copland – to be commissioned by the Dumbarton Oaks Foundation, and her Dumbarton Quintet pursues extremes of moods both consonant and dissonant.